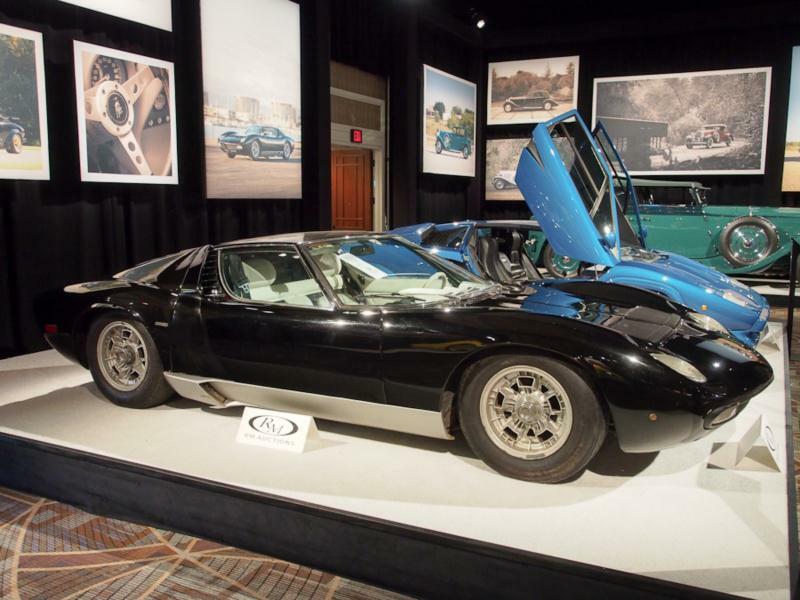 Few cars achieve legendary status, while even fewer continue to live up to it by every accepted measure more than four decades after their introduction, but the Lamborghini Miura is just such a car. 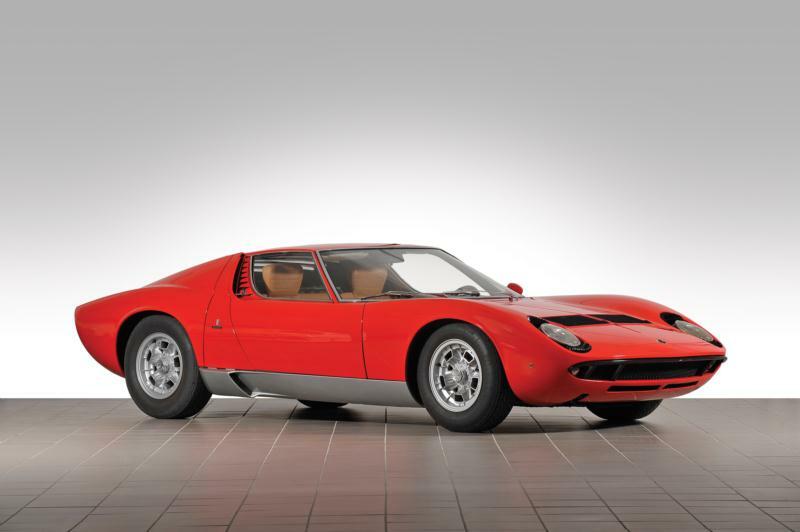 This mid-engined coupe took Lamborghini from being an upstart company that challenged Ferrari with very competent GTs to a world-class supercar manufacturer that forced Ferrari and everyone else to rethink how they built road cars. 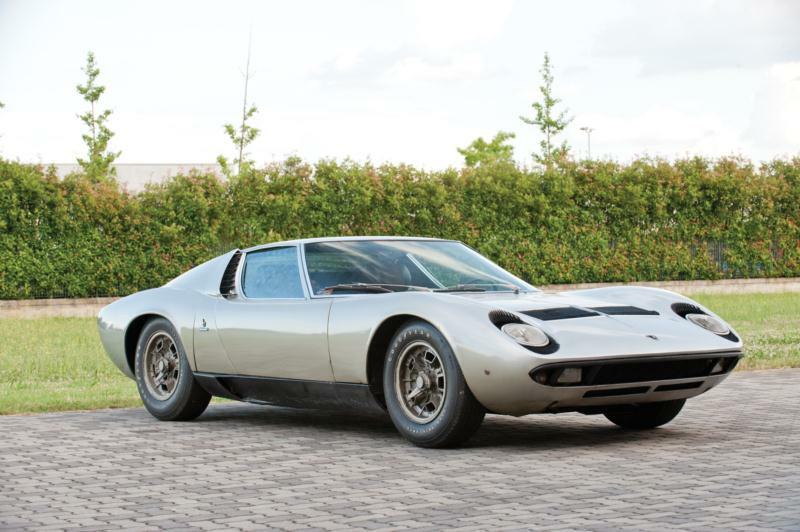 Lamborghini gave a hint of what was to come at Turin in 1965 when it showed a rolling chassis that everyone was sure was going to be a race car (including its designer), and the following year a finished car appeared at Geneva with coachwork that to this day is seen by many as Bertone's crowning achievement. Delivery of production cars began in 1967, and this first version of the car was known as the P400. 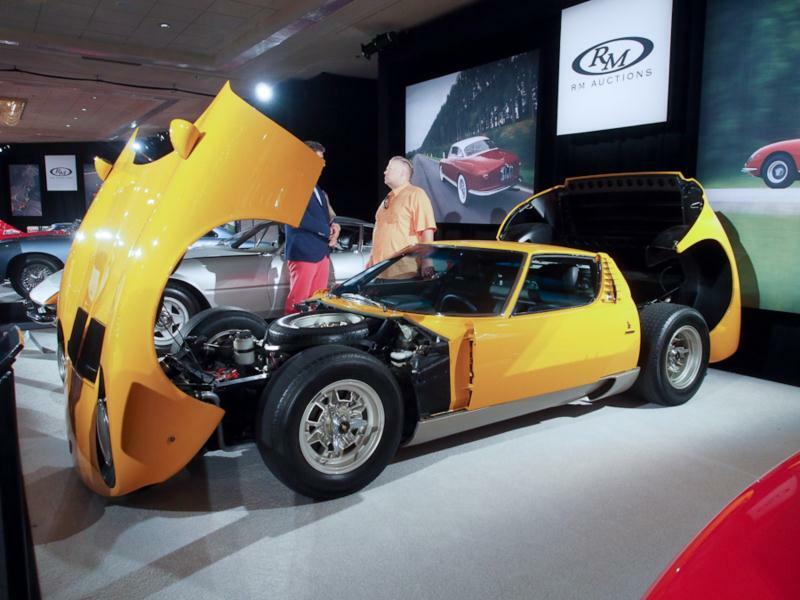 Just as promised in the rolling chassis two years prior, it featured a 350-hp, 3929-cc V-12 cast with its 5-speed gearbox as a unit mounted transversely behind the seats, with engine and transmission sharing a common oil supply. 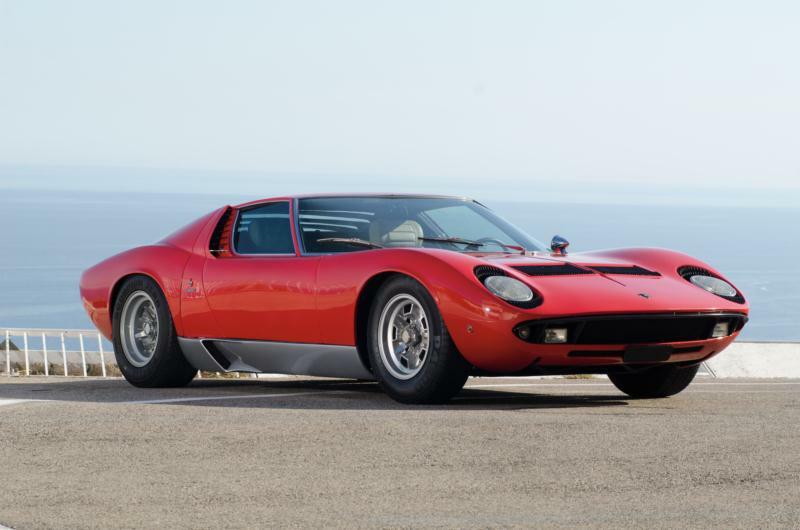 Only 474 were built, with some believing that the first 100 or so cars were made with a thinner gauge steel and a resultant lower weight. 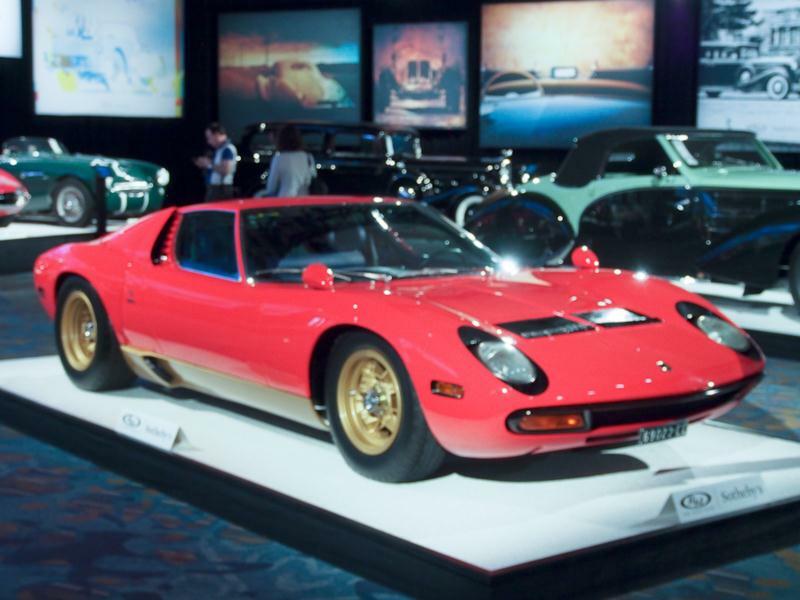 An upgraded version, the Miura S appeared in the beginning of 1969, and 140 of these were built. The S models featured new Pirelli tires, an interior that is characterized by an overhead console with available air conditioning, and an uprated motor that now had 370 hp on hand. 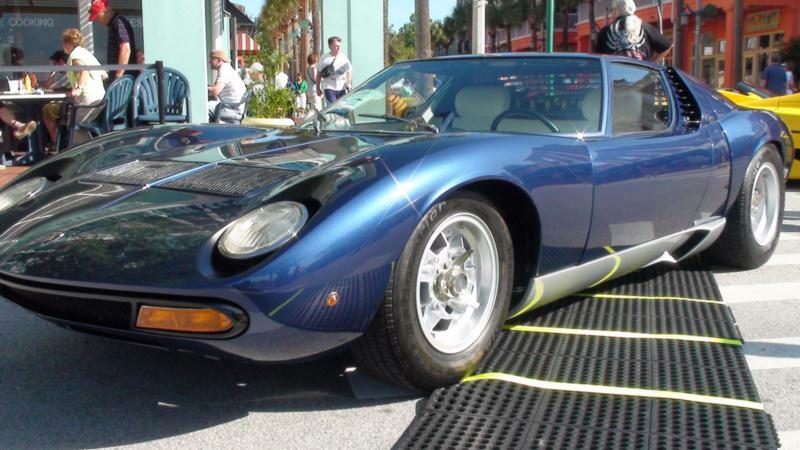 The third and final variant of this supercar was the Miura SV, of which 120 were built. 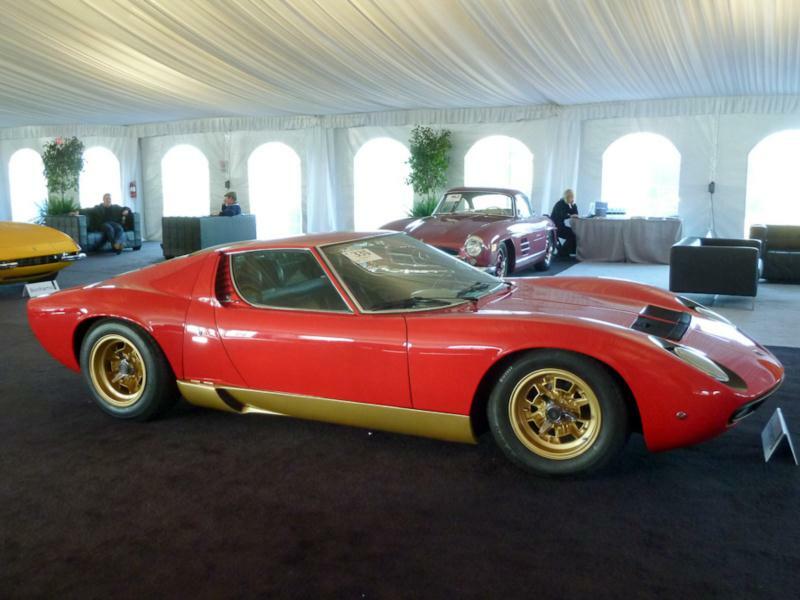 The SV had widened rear bodywork in order to accommodate larger tires, and as expected, further engine modifications yielded 385 hp. 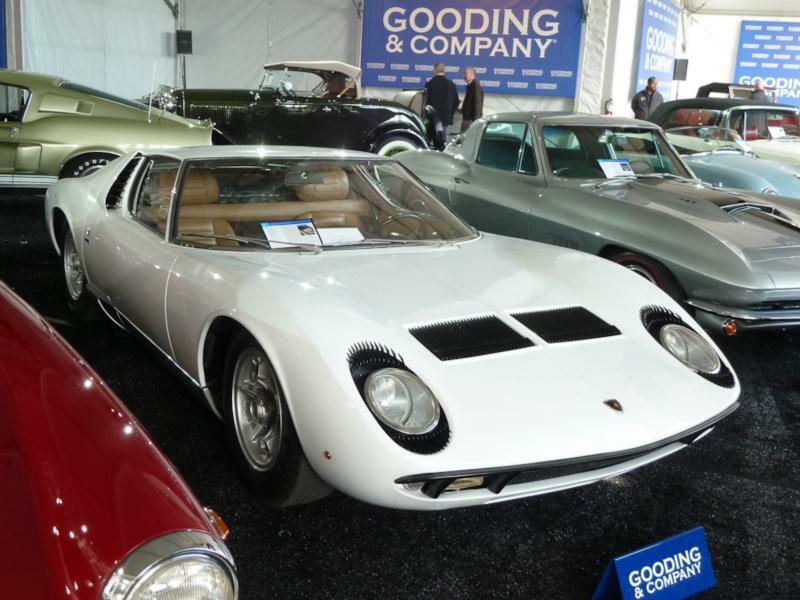 The SV can be readily identified by its lack of fins, or "eyebrows" around the headlights, and the later SVs also finally had a separate oil supply for the transaxle and engine, eliminating the potential for gearbox metal circulating through the engine. 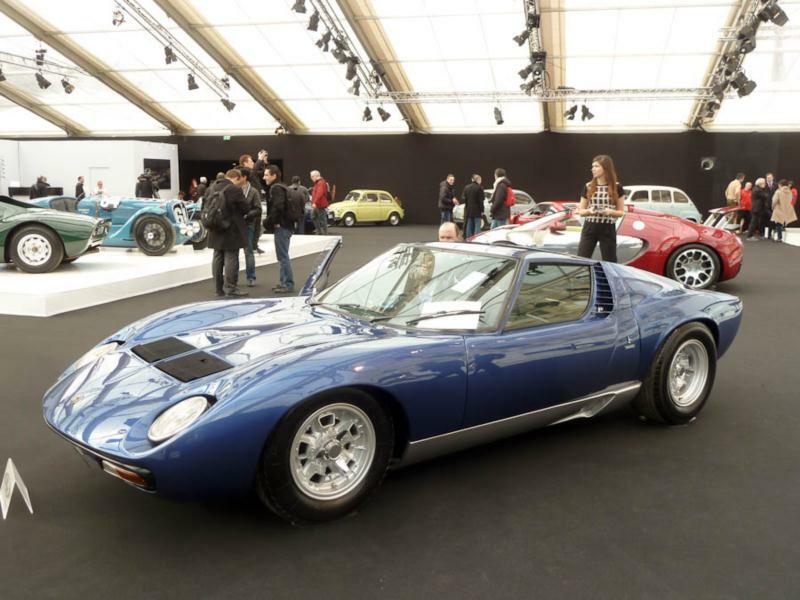 Today the Lamborghini Miura is a highly prized collector' item that doesn't disappoint when driven, with a top speed of over 170 mph and a 0-60 dash in the high 5-/low 6-second range. Some specials included a singular example of a high performance factory special called the Jota, as well as five factory replicas that followed. One targa-type Spyder was built that later became a show car for a zinc company with that metal being used throughout the car.